Cushman Motor Company offers factory trained service on everything we sell. The guys in our shop are pros – they can handle any service or repair job. 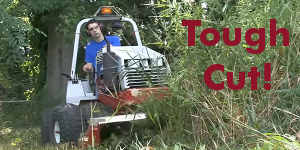 We do Ventrac, Holder and Steiner compact tractor and tractor attachment service and repairs; Cushman and Columbia Parcar industrial warehouse vehicle service and repairs (Stockchaser, Minute Miser, Titan, etc. ); Cushman, Columbia Parcar, Vantage Vehicles, EZ-GO and Westward Go-4 utility vehicles and passenger cart service and repair (Hauler, Haulster, Mega Truck, Summit, etc. ); and Fleet US athletic field paint system repairs and service. Are you located in the greater Twin City metro area? We can pick up your vehicle for service. Is your vehicle broken down at your job site? No problem – just give us a call and we can haul it in for you (and bring it back) Monday through Friday. Need Service or Repair? Please call us Monday through Friday, 8AM to 4PM Central time. 612-333-3487 | 800-759-53 Or email us by filling out the Information Request form on this page.